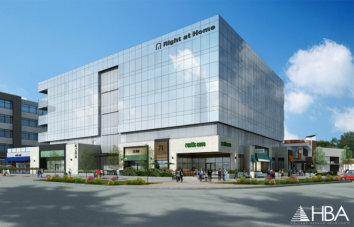 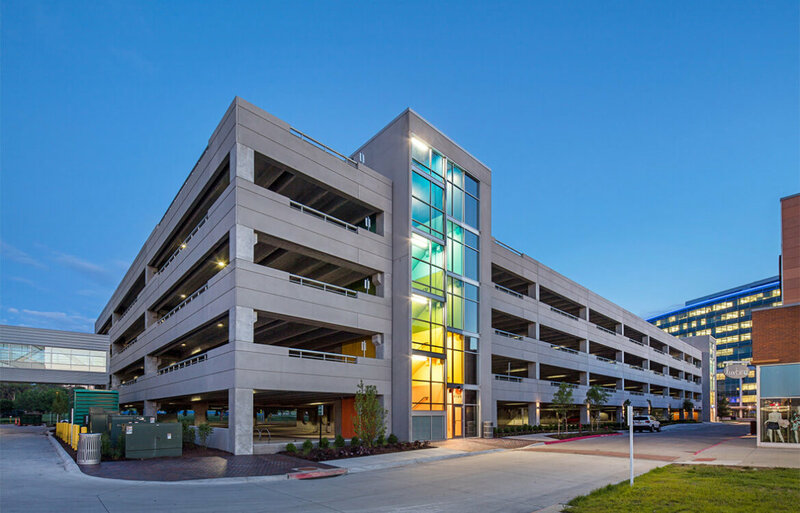 This 5-story parking structure provides the needed utilities the thriving Aksarben Village demands. 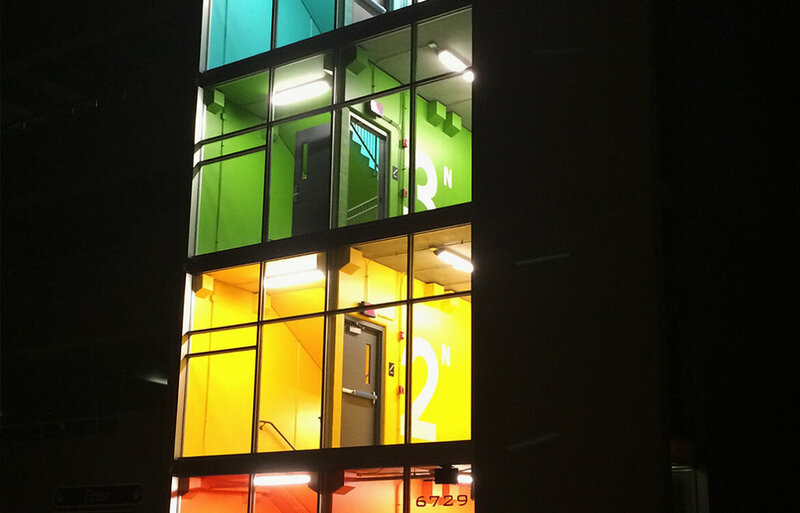 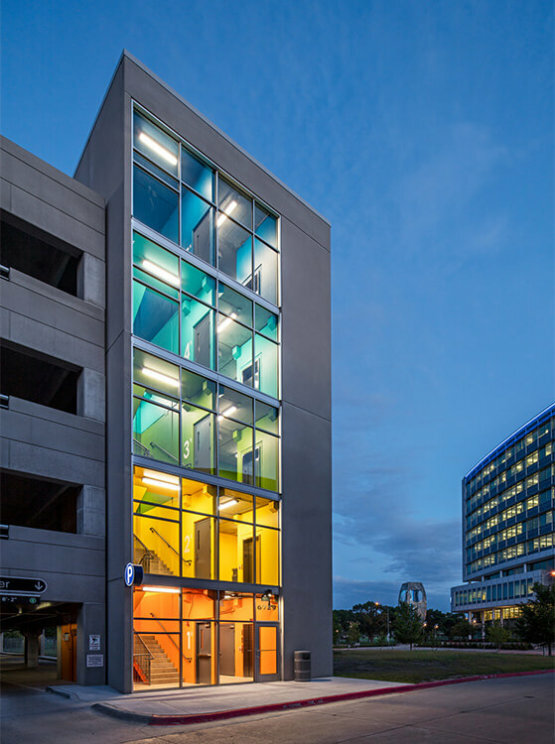 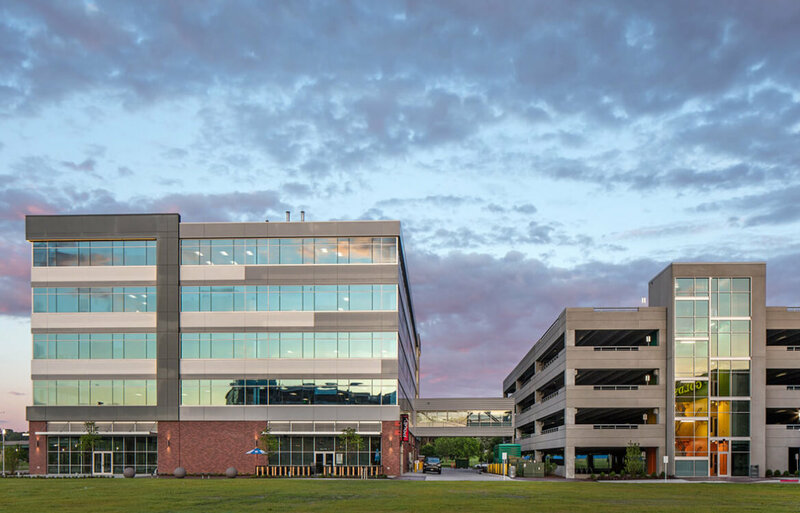 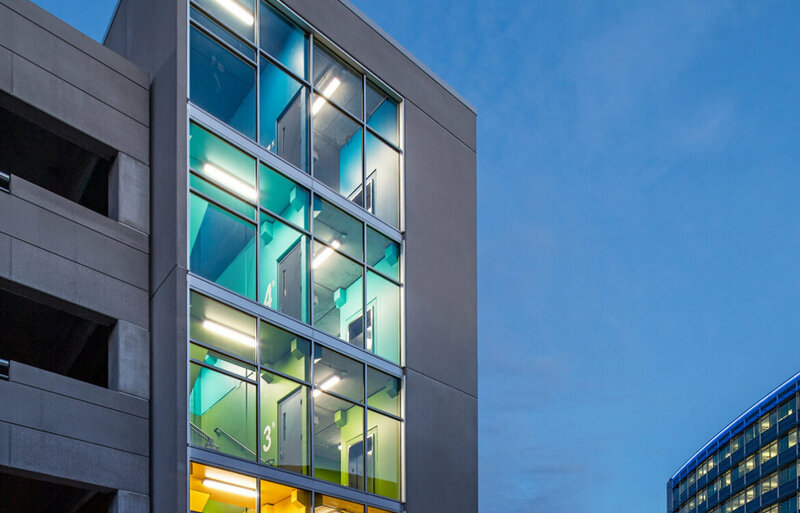 This structure includes 5 levels of parking, one(1) skywalk bridge to adjacent high end office space, and a two (2) colorful stairways with hydraulic elevators. 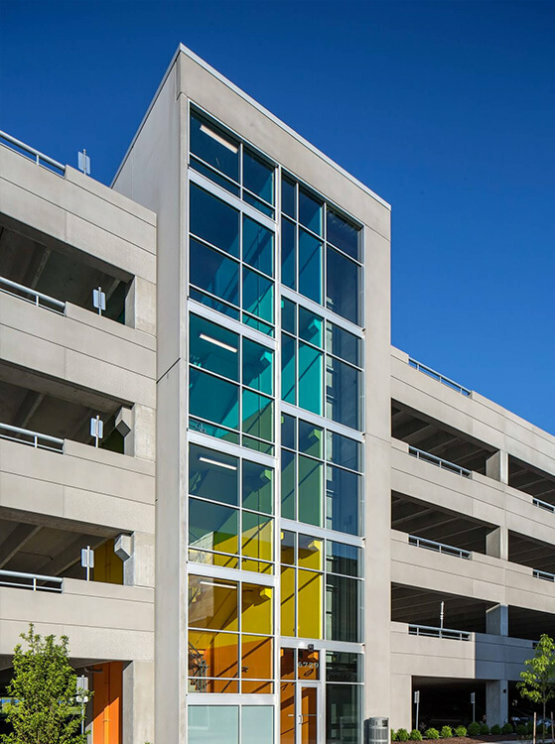 The garage can accommodate parking for 934 vehicles and has been designed for a second future skywalk bridge. 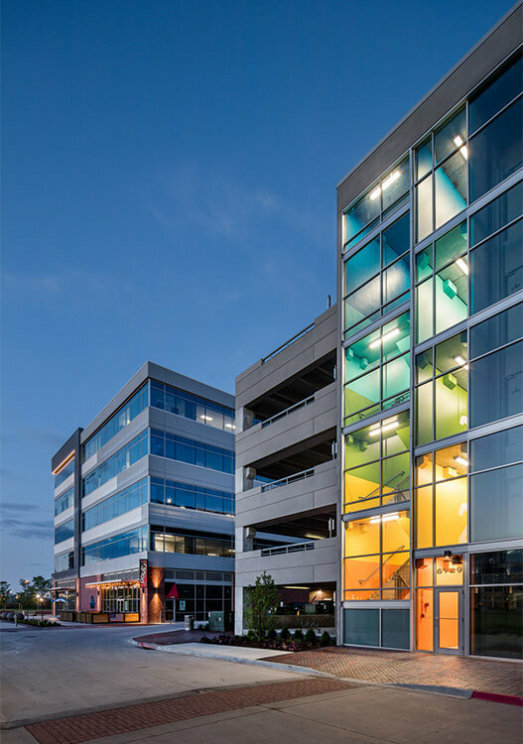 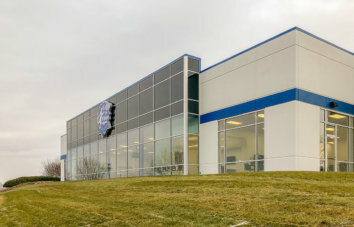 The design process, Nebraska weather conditions and time constraints lead the design team to a precast garage. 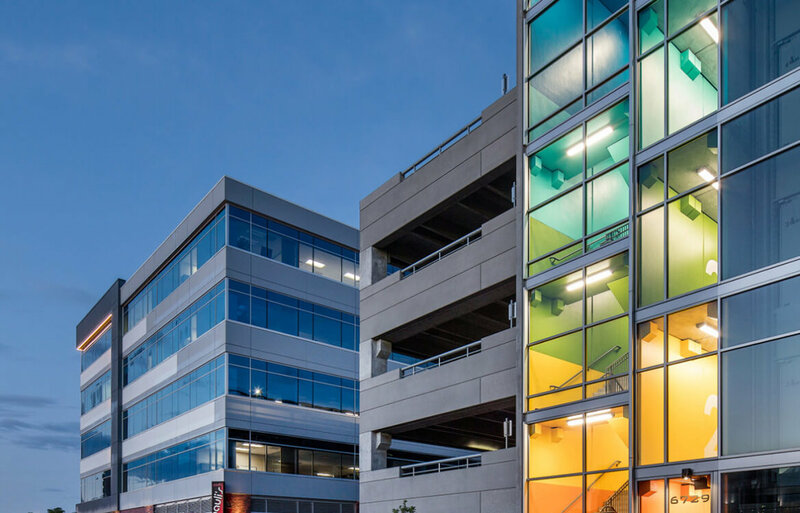 The garage was erected over the winter months and completed 5 months later.